I love to create and am always working on something new and interesting. When I’m not in the kitchen baking up something sinfully sweet, I can be found curled up on the couch, a needle and thread in hand, sewing up a storm! 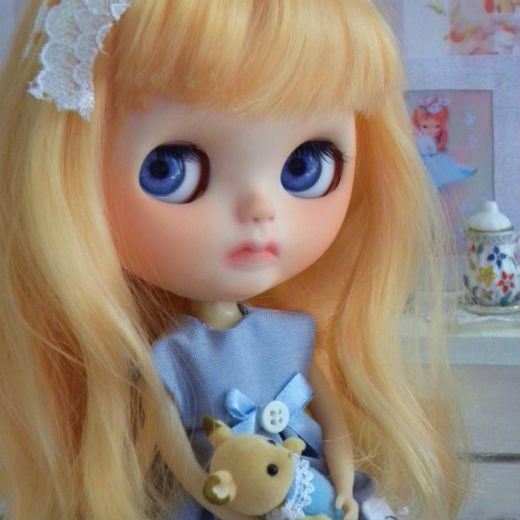 I really enjoy making my mohair teddy box sets and customizing Blythe dolls! I also enjoy sculpting and painting and have some unique pieces in my home. I’m at my best when I’m in my studio, music playing, and I can let my imagination soar. Each piece created is an expression of myself. 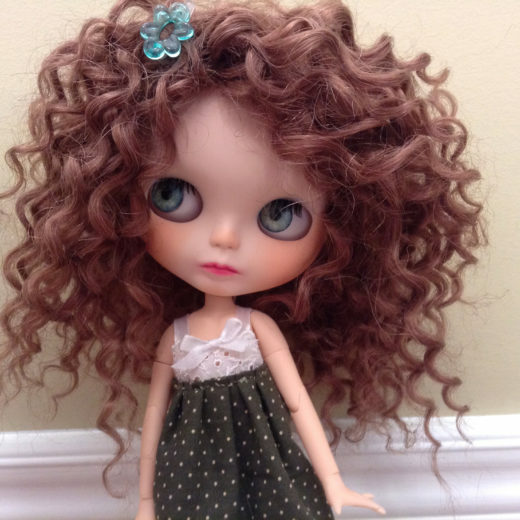 I’ve been doll making for over 20 years, starting when I was just a young girl with my very first being a baby doll made out of ceramic. I spent hours painting her face and perfecting her chubby little arms and legs. 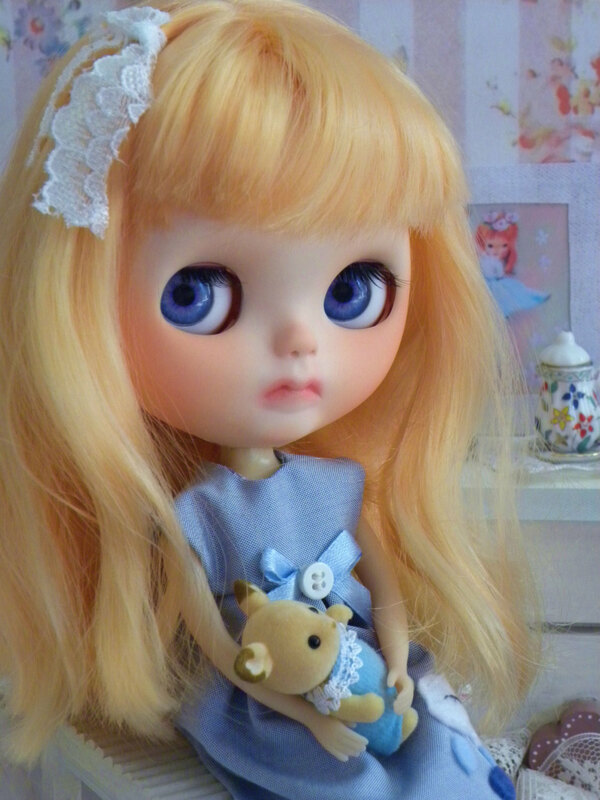 I had sewn her body from a pattern that I had fabricated in my head, purchased a pair of false lashes and cut them to size just for her sleepy eyes. I dressed her in my own baby clothes that I wore as an infant, put my lace bonnet on her head and named her Lilly. I still have her to this very day. I have always loved dolls. Ever since I was a little girl I’ve collected and fancied dolls. My sister despised them, snapping off their heads and throwing them across the room. I would gather up all the pieces, gently put them back together again…and then keep them safe on my side of the room! 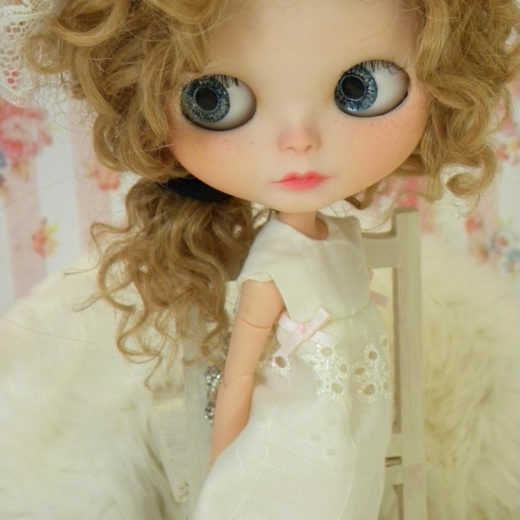 Another interest of mine is customizing Blythe dolls! 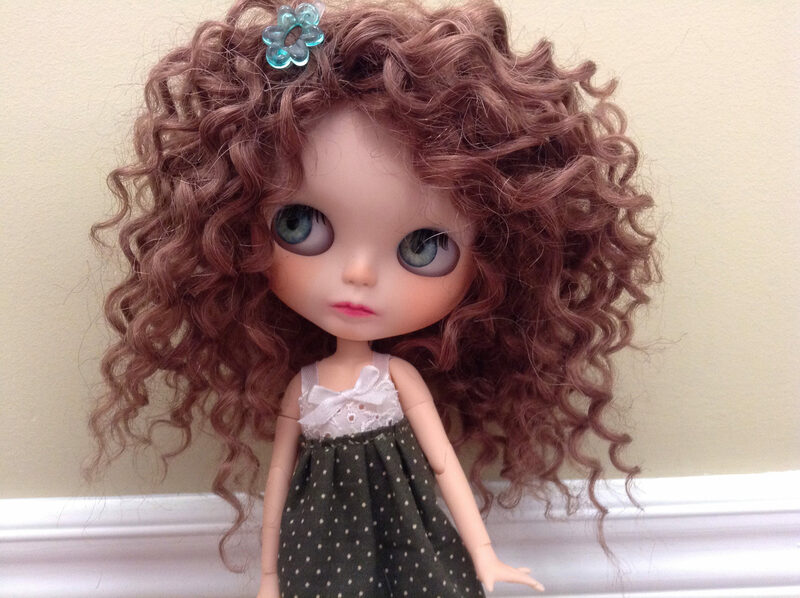 I enjoy making Blythe clothing and accessories and offer specialty items in my shop. Thank you!